Ever since I watched the all American classic movie, Forrest Gump, I have been I love with anything surrounding that beautiful story. This is why I needed to pay a visit to Bubba Gump Shrimp when in America. Unfortunately, due to a lack time, we were unable to go in America. 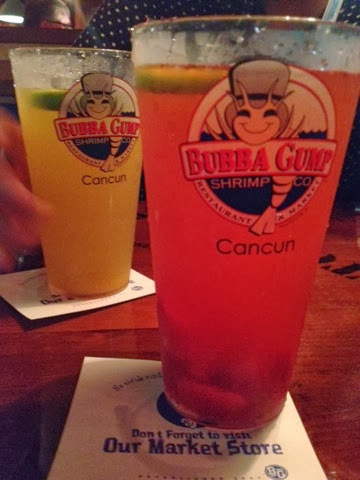 But my salvation came on my last day in Cancun when we were told that they too had a Bubba Gump shrimp restaurant. Now many of you may be reading this and thinking is pathetic. But what's not to love about Forrest Gump. 3) He's the poster boy for the American dream. Proving to the world that its nothing to do with wealth or knowledge. 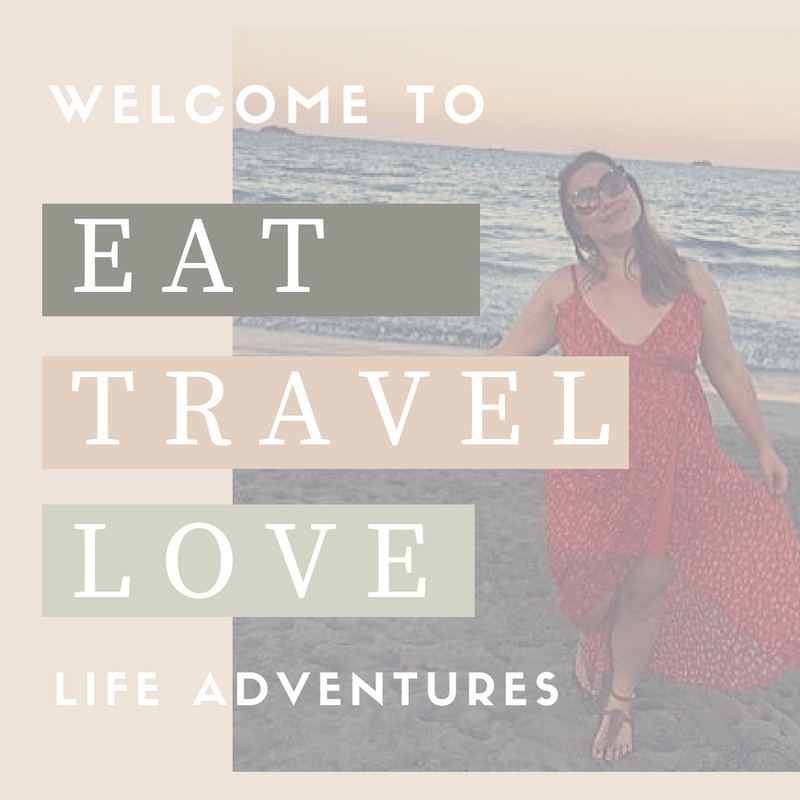 It's about loving the people around you and being in the right place at the right time. I digress... 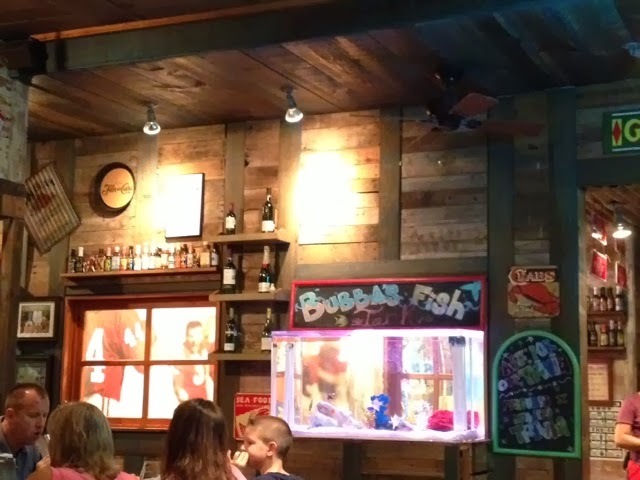 So when we walked into the Bubba Gump restaurant in Cancun. I was happy to see it fully decorated with its southern roots from Greenbow, Alabama. 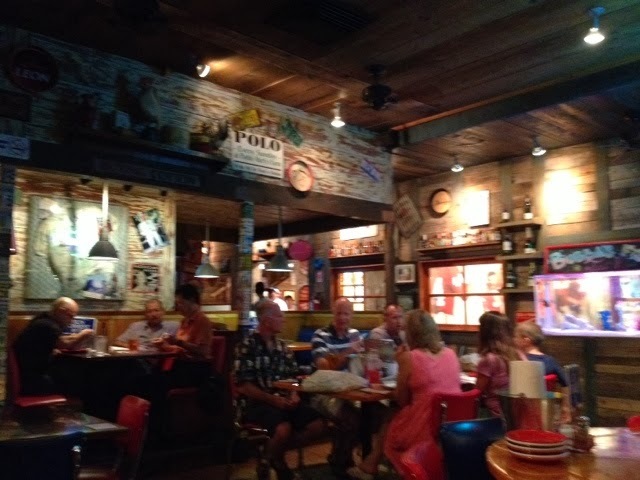 Rustic woods, big ceiling fans and maritime pictures / posters covered the walls. They also had the movie playing in wall screens throughout the restaurant. A nice touch for me, but I imagine the poor staff to hate it after a long shift. When sitting at your table, an enthusiastic waiter/waitress will quiz you on your Forrest Gump knowledge. Of course I owned it haha and we won a free drink. 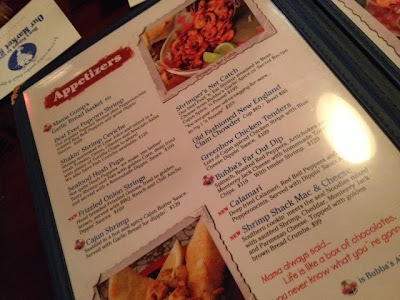 She then handed us the menu, which was full of southern good delights. 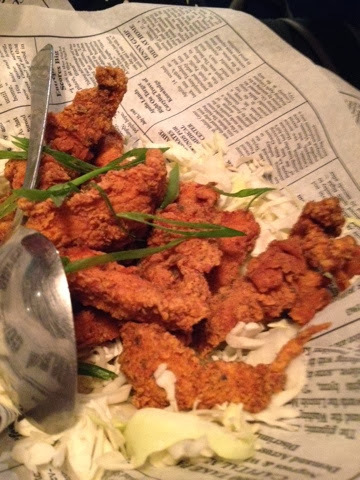 From fried chicken to shrimp gumbo, the menu ranges from £3-£30 and offers appetizers, mains and desserts. The "homemade" lemonade (strawberry, mango or black current) is refillable and actually tastes pretty good. I opted for strawberry and my boyfriend (now fiancée, yeah!) went for the mango lemonade. 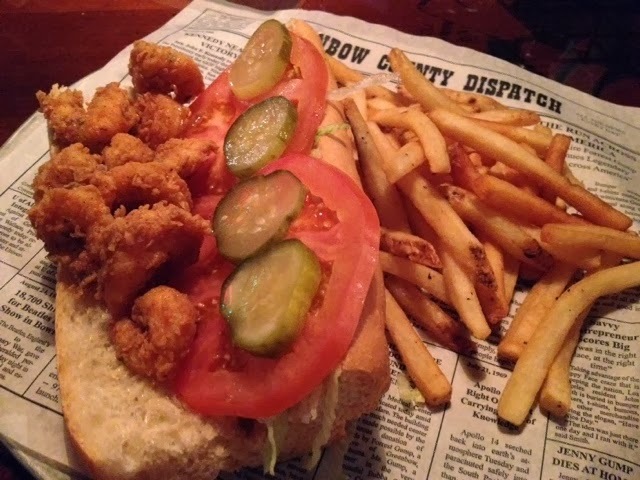 Food wise, we opted for a garlic bread and chicken to share and two shrimp Poboys, which came to £38, including tip. I must say though, the shrimp Poboys that I had in New Orleans were far better and much cheaper. 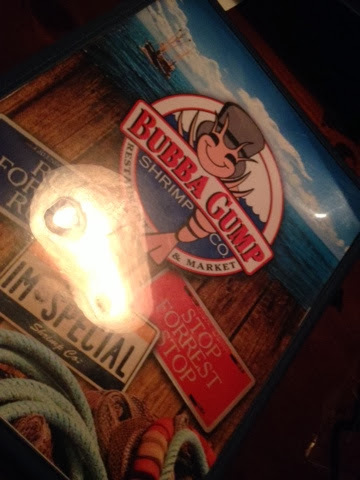 But overall, I really liked Bubba Gump. The atmosphere, the staff and the food was good and definitely with a visit if you're in America.